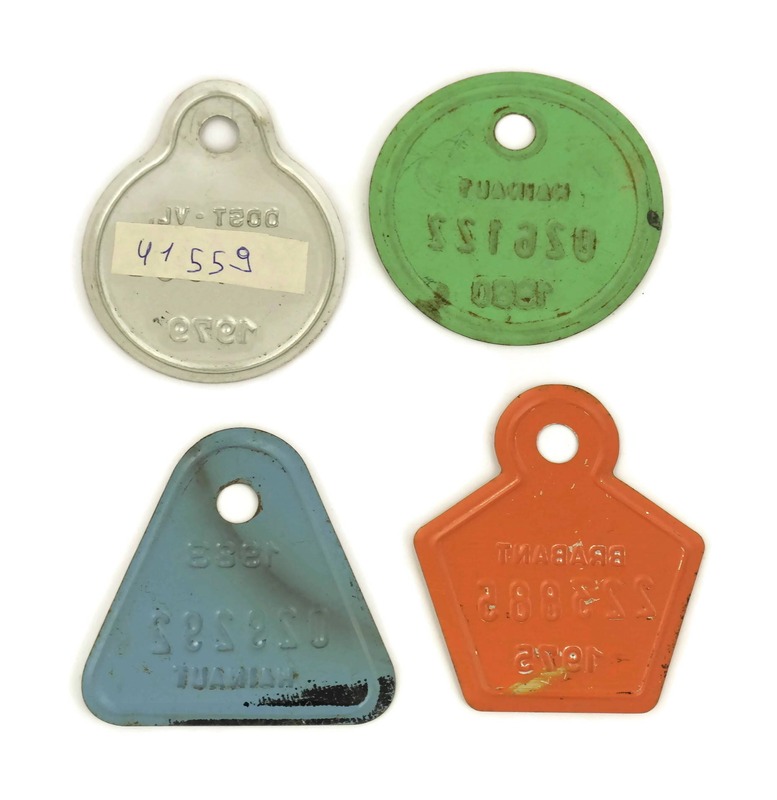 Vintage Metal Bike License Plates. 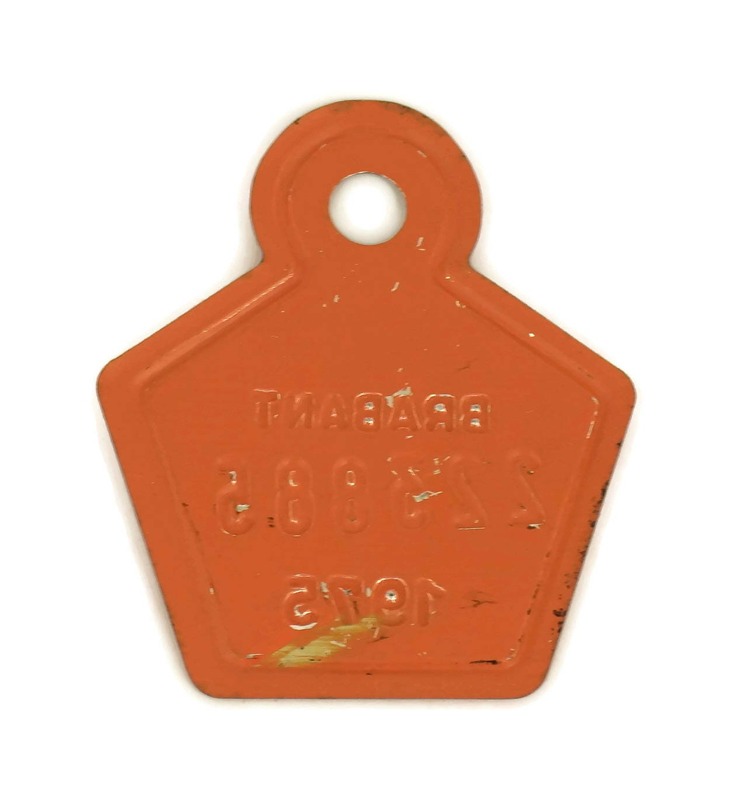 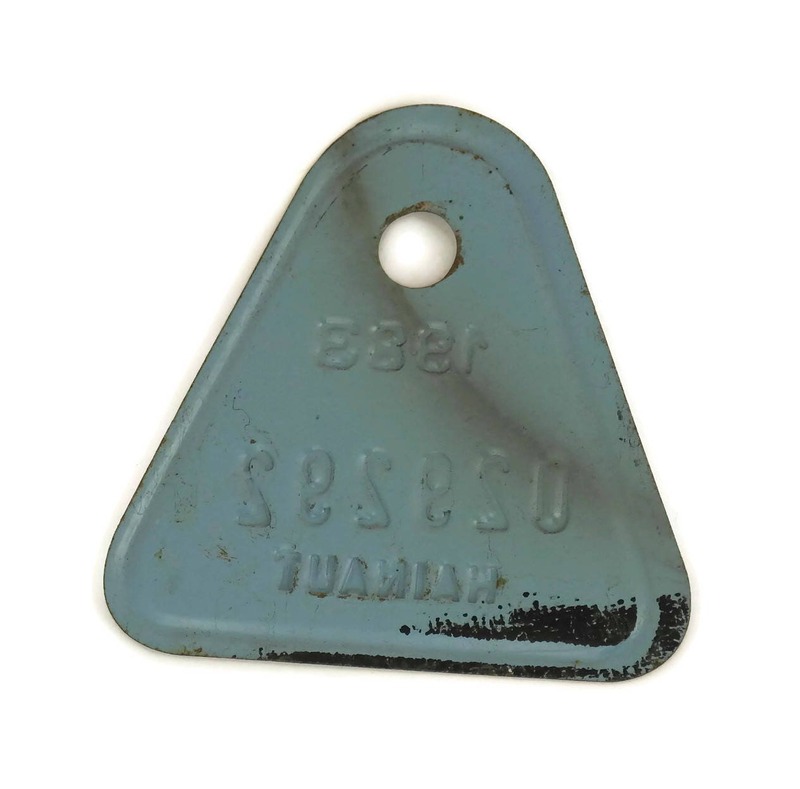 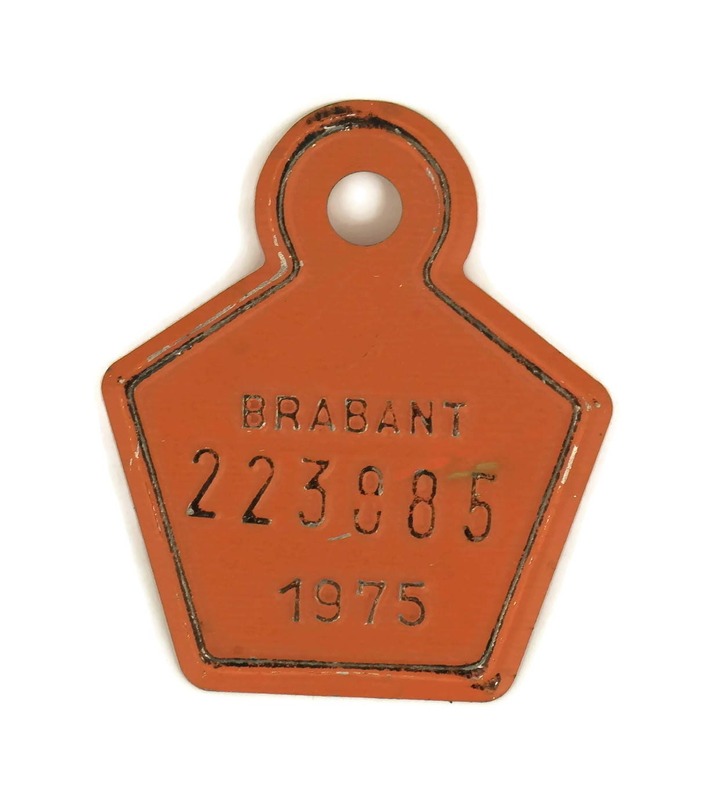 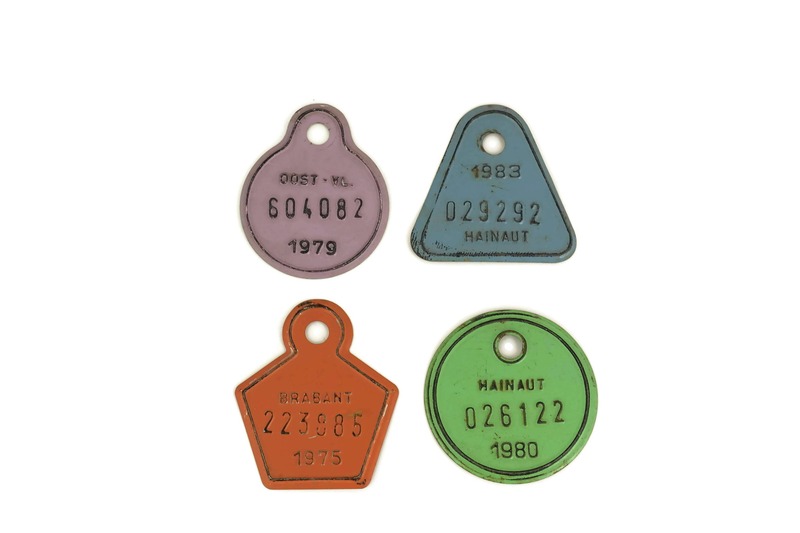 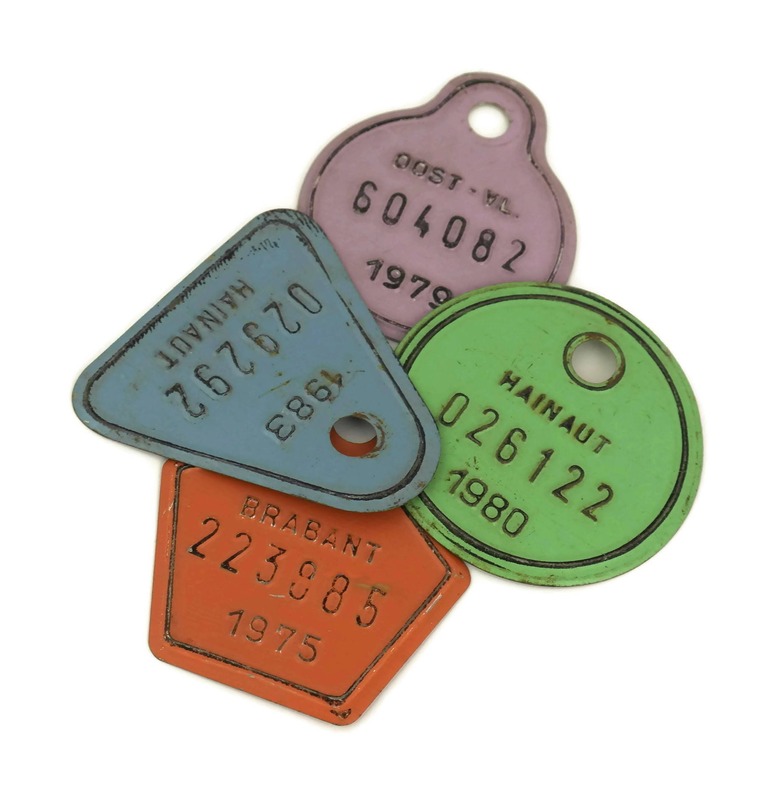 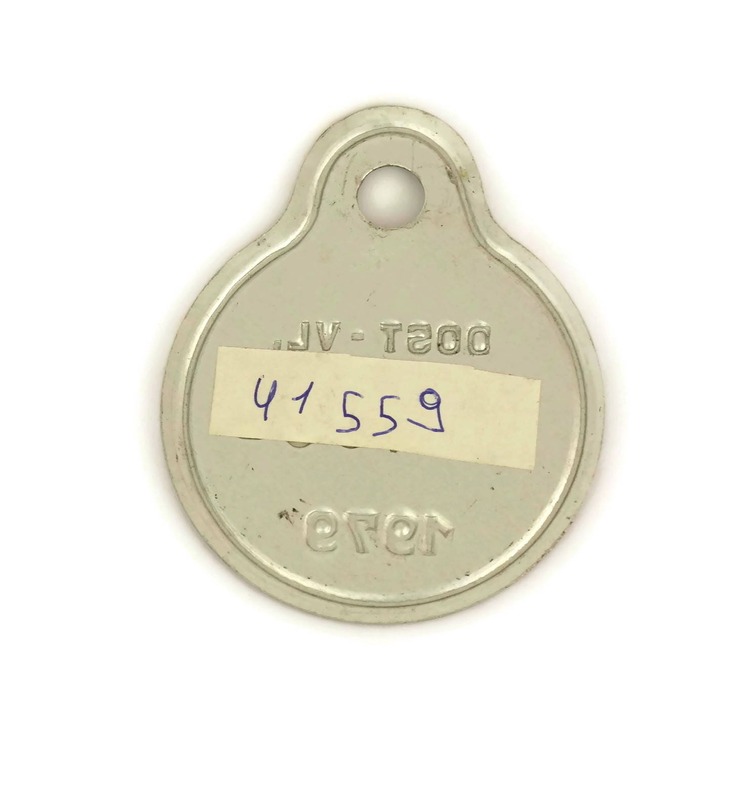 Set of Four Belgium Bike Enameled Number. 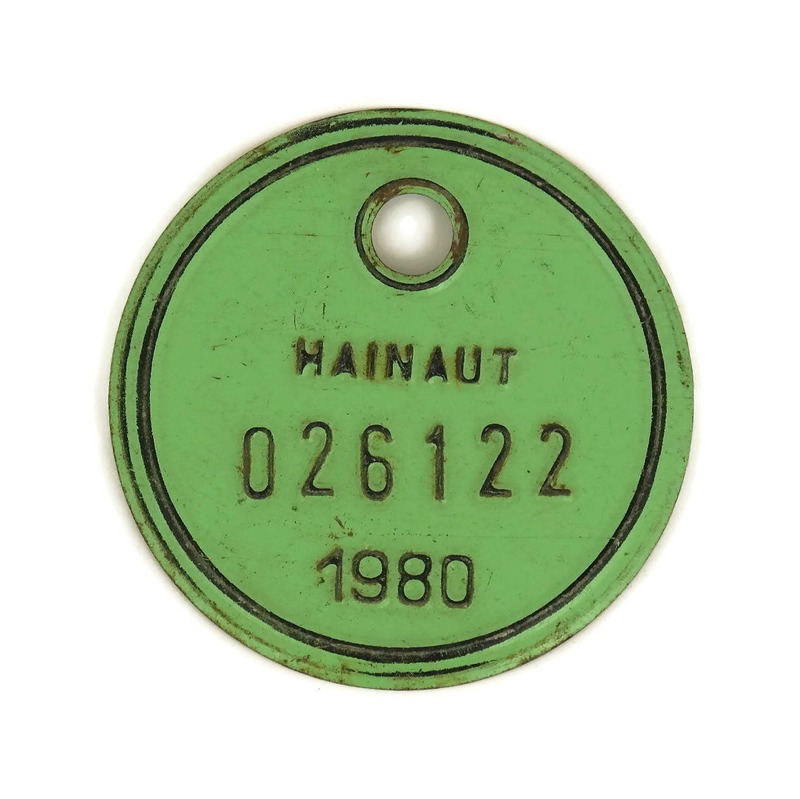 Cycling Gift. 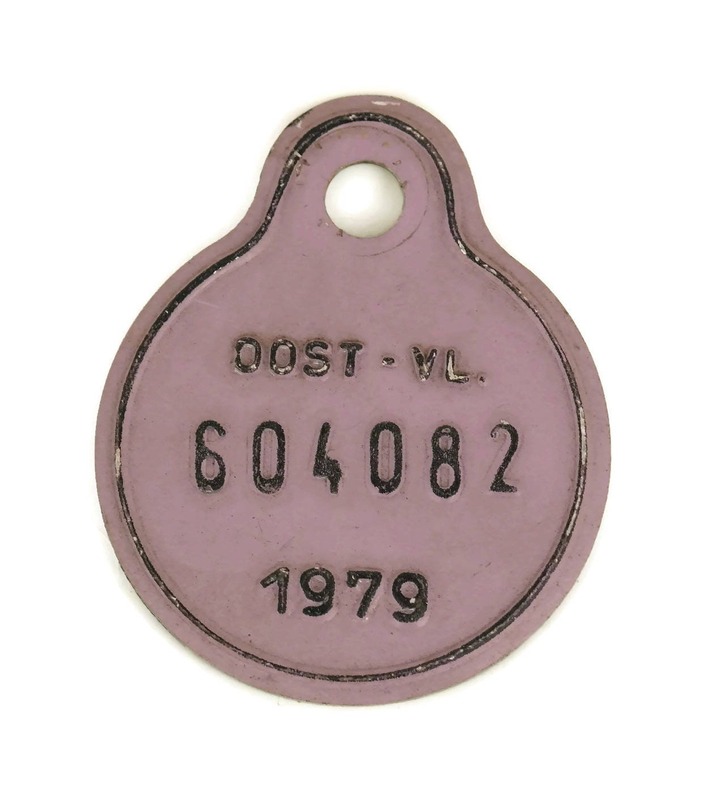 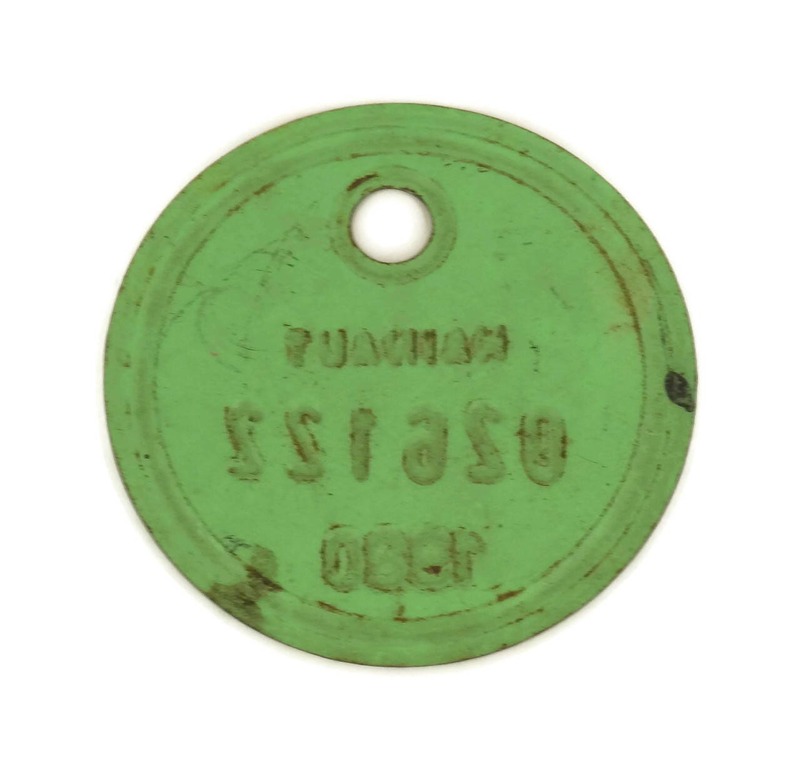 They have the year embossed as well as the license number and a province in Belgium (in Belgium, until the late 1980's, the levying of the bicycle tax was the responsibility of the provinces).